HAPPY HALLOWEEN!! 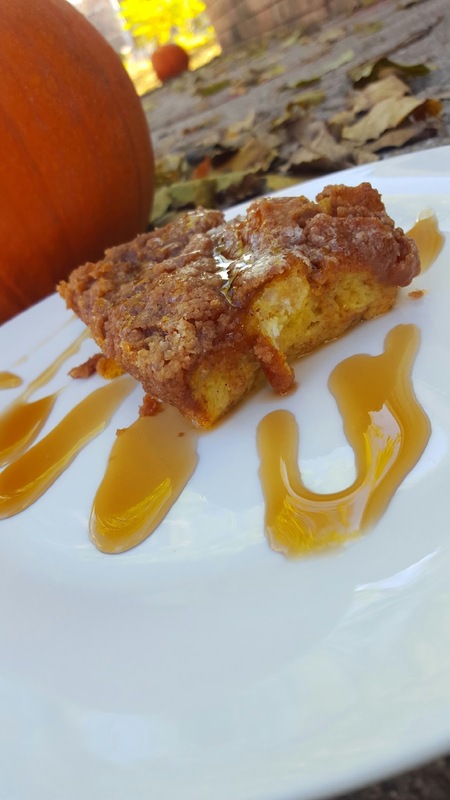 We had a little left over pumpkin puree from our pumpkin bread on Monday so we decided to make this pumpkin french toast. It’s the season for pumpkin everything. Matt must try every new pumpkin item that comes out on the shelves. He always loves every single one! We also had left over french bread from a recipe so we made this in a smaller dish (10X6) with a smaller recipe. You could double this recipe and use at 13×9 dish and it would work just as good. As far as topping we mainly used buttermilk syrup, but Matt thought it would be good with a little carmel and a cream cheese frosting. This was way good and super easy!! Enjoy!! 2. Spray 10×6 pan with cooking spray. Tear French bread into cubes and evenly spread them through the bottom of the pan. 3. 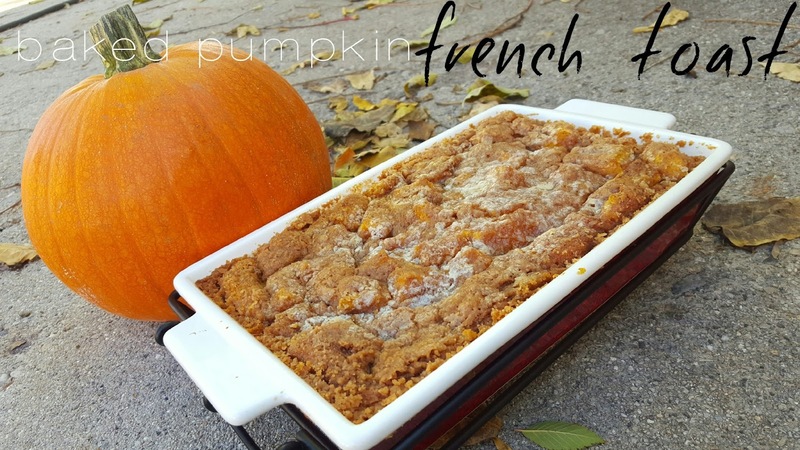 In a large bowl whisk together eggs, milk, pumpkin puree, sugar, vanilla, cinnamon and nutmeg. Once the mixture is blended dump over the the French bread cubes. If you don’t want to eat this immediately you may refrigerate over night, in fact it may taste better. 4. Mix in a bowl flour, brown sugar, cinnamon, nutmeg and salt. Spread over the top of the bread and then spread the cold butter pieces over the top of those. 5. Bake in the oven for 45-55 minutes or until golden brown. Top with butter milk syrup click here for the recipe. Or top with carmel, maple syrup or Matt swears by cream cheese frosting! Enjoy warm!! I'm drooling over this! I love anything and everything pumpkin. I can't wait to give it a try! Pinning! 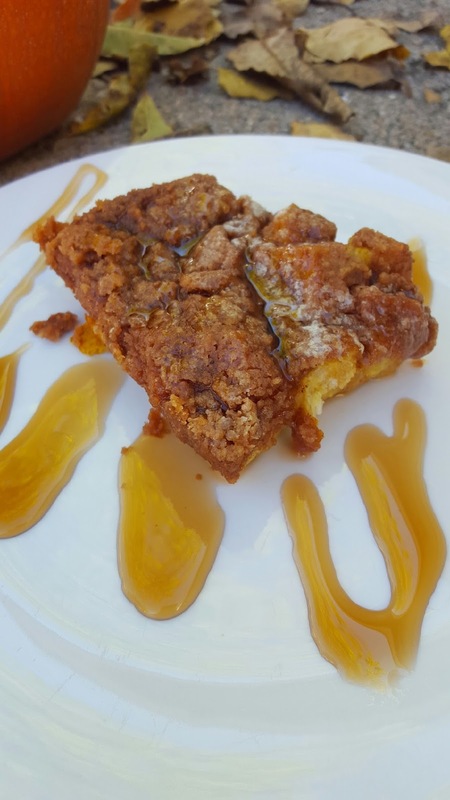 Hey Lou Lous – this recipe looks outstanding! 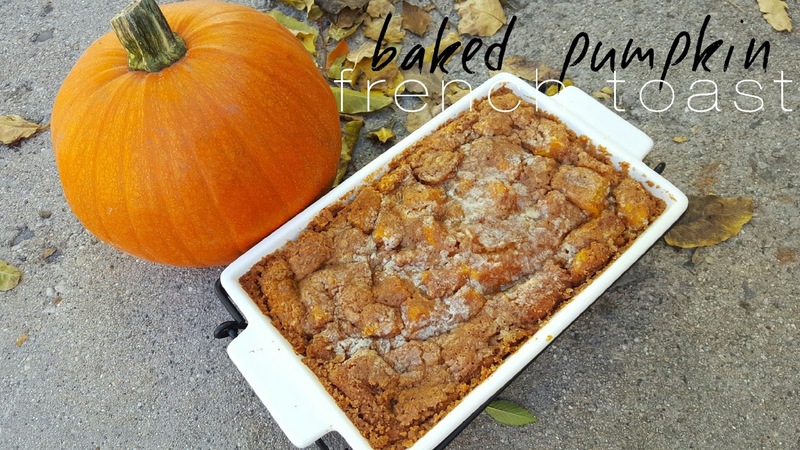 Not to mention a great way to use any leftover pumpkin puree as you mentioned 🙂 Thanks for linking this up at the Happiness is Homemade Linky Party! That is delicious toast for a breakfast thanks for sharing with Hearth and soul blog hop, pinning and tweeting.